I have eczema that comes and goes, and I'm currently using a steroid cream which helps. I am sure when I stop the cream, it will return. Any advice? Answer: There are many factors to consider when treating eczema, including the state of your digestive tract, immune system and what you're touching. First I would take high-quality probiotics because that helps both your digestive tract and immune system. Then I would eliminate common food triggers such as eggs, soy, wheat (gluten), dairy and corn. Next, look at what you're touch. Some of you react to metals that contain nickel which is in coins, necklaces, eyeglasses, watches, and rings, for example. A study published in the July 2012 issue of Contact Dermatitis that is called "Coin exposure may cause allergic dermatitis." We knew about this problem as far back as 1991, when a case report was published in the August issue of the Journal of the American Academy of Dermatology featuring a 48-year-old cashier with hand eczema and a genuine nickel allergy. Eczema is actually common in cashiers. If I had dyshidrotic eczema (hand eczema), I would stop counting out change, which I do this frequently, much to the annoyance of people standing behind me. If you are one of these folks, it's easy to remedy. I suggest that you remove all your jewelry and not touch coins for a few weeks. Definitely avoid white gold and costume jewelry. Think about what you are touching, maybe a metallic pen, a cell phone, gear shifter, stainless steel pots or a laptop keyboard. 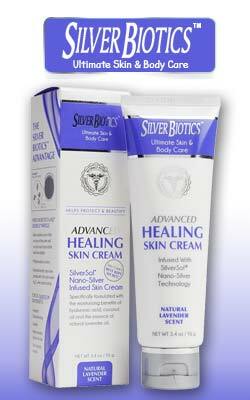 I found a product that tests for nickel in your items, so your skin doesn't have to. It's called "The Nickel Solution Kit" by Athena Allergy. You can also buy a little bottle of "Nickel Guard" from that company and paint it on your glasses or your jewelry to stop the rash you would normally get from these items. There's a prescription drug called Psorizide Forte that contains "fumaric acid which blocks the skin cells from growing wildly; it contains a homeopathic form of nickel which desensitizes you to nickel. Also by prescription, Eczemol tablets by Plymouth Pharmaceuticals.